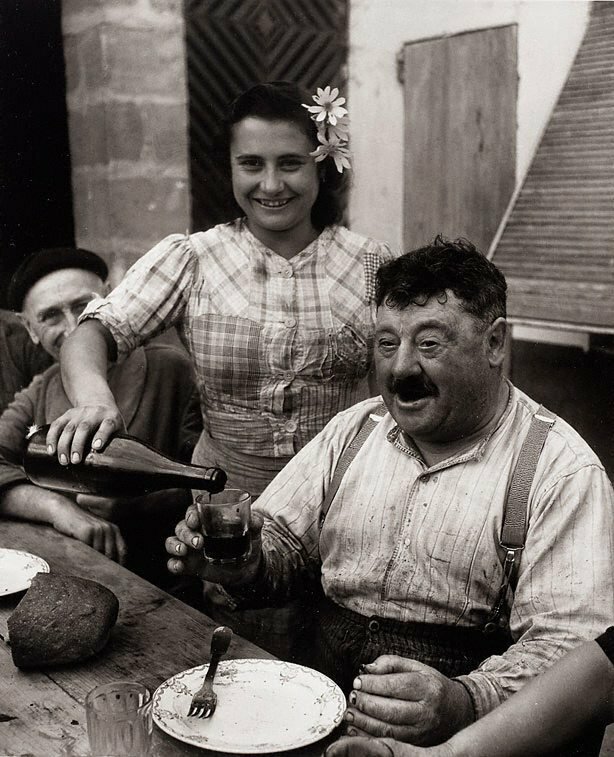 Willy Ronis earned his reputation in the photo-documentary mode by concentrating his lens on street scenes and domestic life in France. Unlike other freelance photojournalists of the time, such as Henri Cartier-Bresson whose reportage celebrated a shared humanity on a global scale, Ronis focused exclusively on aspects of French identity grounded in the everyday. In 1946 Ronis joined the photo agencies Rapho and Magnum and he was the first French photographer to work for ‘Life’ magazine. His imagery contributed to the illustrated stories that described France in the process of being rebuilt following the Second World War. In 1953 he exhibited alongside Cartier-Bresson, Robert Doisneau, Izis Bidermanas and Brassaï at the Museum of Modern Art in New York in ‘Five French photographers’, organised by Edward Steichen, and later in ‘The family of man’ exhibition in 1955. As with his celebrated study of the working class Parisian suburb, ‘Belleville-Menilmontant’, published in 1954, Ronis’s earlier observations of blue-collar pastoral life, captured in his depiction of the home of the wine grower of Cavignac, similarly combines his interests in character with modernist dispositions. Portrayed within the context of their everyday lives, Ronis utilises the informality of an outdoor meal setting as a backdrop on which to foreground in sharp focus not only the wine which is presented in the glass tumbler and bottle, but also the fingernails, hands and clothes that are stained with the fruits of their labour. It is in these small details rendered in great clarity that he draws out the defining characteristics of the wine grower and his family. Signed l.r. sheet, ink "Willy Ronis". Dated c. verso, pencil "... 1945".